What Makes An Essential Oil Genuine Authentic Grade? It’s easy to get started right away. Just Click HERE to set up your Young Living account. Use Enroller and Sponsor #39971. When you buy a Premium Starter Kit, I will send you a Welcome Packet with reference materials and other tools and resources to help you get started. Autumn is a good time to be enjoying the fall colors with a nice hike or a bike ride. Playing sports with friends. This is also a good time for yard work and house repairs. Lots of autumn activities that could result in tired, overworked muscles. We have these issues during all seasons. Winter months may have snow shoveling and winter sports like skiing, sledding, etc. Improper or excessive use and tension of muscles can lead to symptoms of overworked muscles hours later. When muscles undergo excessive tension for a length of time, muscle fatigue, stiffness, and aches may be experienced. Young Living has several products that are helpful in supporting tired achy muscles. PanAway is a blend of wintergreen, which has an active principle similar to cortisone; clove, which contains eugenol, used by dentists to numb gums; peppermint, calming for nerves; and helichrysum, soothing to overworked muscles. PanAway is a wonderful oil blend to have on hand for those days when you get a little too much exercise, play sports or work too hard. Apply on location for muscles, compress on the spine, rub on reflexology points of feet. A stronger version of Ortho Ease, Ortho Sport Massage Oil is designed for both professional and amateur athletes, as well as anyone who works or plays hard. Ortho Sport Massage Oil has a higher phenol content, which has been used traditionally to produce a warming sensation and provide relief to tired muscles. Grapeseed oil, wheatgerm oil, sweet almond oil, olive oil, wheatgerm oil, vitamin E, and pure therapeutic-grade essential oils of birch, juniper, marjoram, red thyme, vetiver, peppermint, eucalyptus australiana and lemongrass. A refreshing, minty, sweet aroma is stimulating and invigorating. Great addition to lotions and ointments that are applied after activity. Includes the naturally occurring constituent methyl salicylate. Northern Lights Black Spruce essential oil comes from Young Living’s new Northern Lights Farm in British Columbia, Canada. Northern Lights Black Spruce can also be applied anywhere, including to the bottoms of feet, along the spine, back of neck, or used for massage. This oil includes the naturally occurring constituents alpha-pinene, camphene, and beta-pinene. Apply to bottoms of feet, along the spine, back of neck, or wherever desired or use for massage. Topical: Dilute 1 drop with 1 drop of V-6 oil. Apply to desired area as needed. Essential Oils can be soothing for overworked muscles. Add these formulas to 4 oz. V-6 Mixing oil or Massage oil base. Rub oil blend neat on location. Mix with V-6 Mixing Oil or Massage Oil Base to massage larger areas of the body. You can add these formulas to 4 oz. of Ortho Ease to strengthen its effects. Add essential oils to 4 oz carrier oil. Massage as needed. These oils can also be added to the cream or salve recipe below. SOFT – This is a good one if you are wanting something closer to a lotion. FIRM – A little more firmness. X-TRA FIRM – this version would be a good choice for a foot or elbow balm. HARD – Good for a lip balm or deodorant. Place coconut oil, extra-virgin olive oil and beeswax and shea butter in small glass jar. Place jar into pan and fill with approximately 2-inches of water. Heat over medium-heat, stirring mixture in jar until everything is melted. Remove pan from heat. Using a clean kitchen towel or wash cloth, carefully remove jar from pan and place on cutting board to cool. While cooling stir with knife to make sure contents stay well mixed. Before adding your choice of essential oils, let the mixture cool a little but not too much. Letting the mixture cool helps to preserve and protect the delicate chemical constituents in the essential oils. You can speed the process by gently stirring with a clean knife. Add the essential oils while stirring and mixture is just starting to turn opaque and beginning to harden. Fill a bowl with very hot water. Add 4 to 5 drops of essential oil. Dip a folded piece of sterile cotton cloth into the prepared water. Place the moistened cloth onto the affected area until it reaches body temperature. Repeat steps 3 through 5 two to three times. Preparing for a cold compress, replace hot water with ice cold water and follow with steps 2 through 6. Massage has been used for millennia to help support circulation, increase energy flow in the body, and promote well-being, but it’s also one of life’s simple luxuries. No matter if you’re getting a massage to help you relax physically, to take a mental retreat, or both, incorporating essential oils can help you enhance any massage experience. Here are a few of our tips to use Young Living’s essential oils to get the most from your massage. Young Living’s new Cool Azul essential oil blend is ideal for massage before, during, and after physical activities. 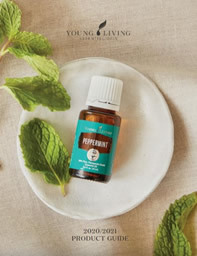 Especially perfect for massage, this therapeutic-grade essential oil blend can be used alone when high potency is desired or can be used alongside other oils to add a targeted cooling blast where you need it most. Dilute with V-6 and apply topically for a cool sensation. For an even cooler essential oil experience, rub on Cool Azul Sports Gel after applying Cool Azul essential oil blend. based formula that absorbs quickly and delivers a welcome chill that your muscles will thank you for. Cool Azul Pain Relief Cream provides cooling relief from minor muscle and joint aches, arthritis, strains, bruises, and sprains. Our plant-based formula combines the power of Wintergreen essential oil with Cool Azul essential oil blend. Post Exercise: Ortho Ease Massage Oil includes Wintergreen, Peppermint, Juniper, and Marjoram and has a refreshing minty aroma. Ortho Sport Massage Oil is infused with Wintergreen, Peppermint, Thyme, and Oregano. Thoroughly massage either of these blends into the body following exercise or activity. Skin Nourishing: Cel-Lite Magic Massage Oil nourishes the skin with vitamin E and pure vegetable oils, along with Grapefruit essential oil to improve the appearance of skin texture and Juniper oil to help brighten the skin. Massage this blend into areas where you desire to support healthy-looking skin. Relaxing: Relaxation Massage Oil combines the soothing essential oil scents of Lavender, Tangerine, Coriander, and Spearmint for maximum relaxation. Romance: Sensation Massage Oil inspires and encourages feelings of romance and youthfulness with the beautifully blended fragrances of Ylang Ylang, Jasmine, Geranium, and other essential oils. This special blend leaves the skin feeling smooth and soft. Drip all essential oils into a glass bottle, add carrier oil, and roll bottle between palms to blend oils. Decorate with a pretty label if desired. Shake well before each use. Need Essential Oils for your recipes? Click here to purchase your Young Living Premium Starter Kit and order Wholesale! Premium Starter Kit with Desert Mist Diffuser is on Sale for $144.